PDF Editor Mac allows you to easily edit PDF content on Mac OS X. This program offers you the ability to modify PDF documents like adding text, inserting images, rotating pages and so on. 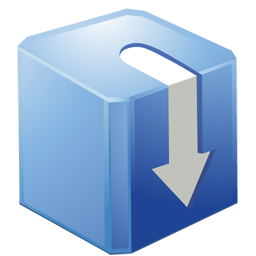 How to Use: Click the Download button to download the DMG file. Double click on the DMG file to load the installation volume and drag the PDF Editor Mac application out to start editing PDF files. PDF Editor Mac is designed to edit PDF content easily. You can simply erase or add text to PDF documents or insert images into PDF pages, and set the font and size you want. The program also allows you to resize added images to the correct size. If you have a transparent image of your signature in PNG or GIF format, you can easily add it as a signature to the PDF page. It is much easier than print, sign and scan back to PDF. PDF Editor Mac includes rotating feature to let you correct the orientation of the PDF pages. Some PDF documents are not in the right orientation and you can rotate pages 90, 180 and 270 degrees to fix the problem. Watermark is the best option to protect your PDF files because it will keep all the original content. Just add a watermark image or text and click Copy to All Pages - the watermark will be created immediately.